The worker in a gas mask looks at a manometer of the gas refinery. 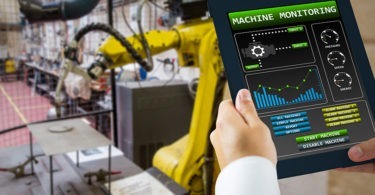 Factory or plant efficiency should be at the heart of all operations in 2018, as key technology enablers are allowing operations and maintenance (O&M) teams to focus on application exceptions, instead of traditional preventive measure approaches. As 2018 stares at mid-year, more companies are publishing successful case studies on “exception-based routines” or predictive maintenance deployments for critical machinery or production lines. This means the role of the maintenance technician is expanding. Recent research from PMMI Media on the food, beverage and consumer packaging goods (CPG) industry shows that management is looking for “workforce upskilling.” Management wants to identify approaches that will empower workers to be able to take on larger roles — operations and maintenance roles in oil and gas — where they’re making decisions about how to improve operations and not just doing rote processes time and again. For example, the multinational company Bayer historically sold pesticides to control rodent infestations. Now, the company is extending its pesticides with an IoT-based service. Specifically, the company has developed a smart “digital mousetrap” built on top of the Azure IoT platform that collects information about each trap and predicts the future risk of rodent problems so customers can apply the precise amount of chemicals needed to prevent future infestations. More takeaways from the Hannover Messe 2018 event include implementations of machine learning and how these additions are leveraging cloud analytics to use personnel in a more efficient manner, such as perfecting transitions during the fermentation process for Deschutes Brewery. The models allow departments to spread personnel wider than being stuck with rote process duty.